As you embark on your new home journey, be prepared to absorb volumes of information as you tour the display homes, explore new communities and visit land sales offices, looking for your dream home. 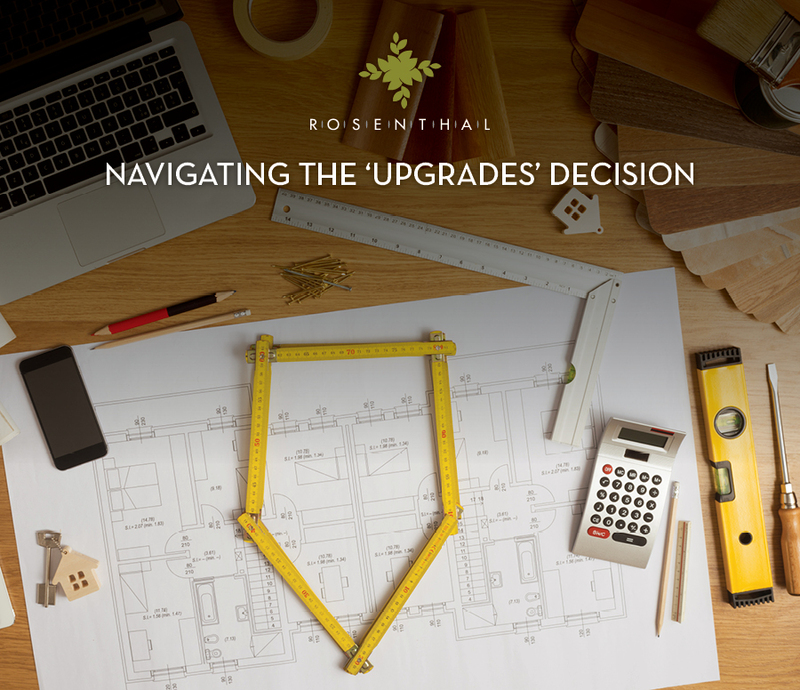 From the beginning, make sure you understand what is included as a standard item and then what options you have to upgrade. We've done the hard work for you with this list of 5 'must-haves' that are totally worth stretching the budget for. These days, more than ever, the kitchen has become the most important space in the home. Whether it's preparing meals, catching up with friends or overseeing homework - it's definitely the heart of any home. So, it makes sense to splurge where you can in this room. Options to look for include stone benchtops, with shadowline features and even waterfall edges if you can fit it in the budget. Soft close drawers and cupboards and quality appliances rank high on the list too. The design trend to stand the test of time is definitely the butler's pantry if your design permits it. Imagine a kitchen that always looks perfect and clutter-free because you can stash the evidence in a separate room. In addition, an emerging trend is the study nook where a built in space is created perfect for the homework session after school, ideally within range of the kitchen for multi-tasking. While it is easy to get caught up in the look and feel of upgrade options, we often overlook the hidden extras that can contribute to maintaining a comfortable environment inside your home. Energy efficiency options such as upgraded insulation, double glazed windows and even some of your chosen appliances can make a real impact on your ongoing energy consumption and expenses in the long run. Think about how you will use each room to determine whether you need mood, feature or task lighting. If you're an art collector then specialised directional lighting should be on your list, while those with young families should consider options for floor lighting along hallways and stair cases. LED strip lighting under overhead cupboards and along kitchen kickers is definitely a splurge area, while concealed or pop up power points are top of the new trends list. While it can seem a bit like the invisible upgrade, similar to energy efficiency options, investing in quality flooring options is definitely one for the hit list. Think about the amount of traffic your home will endure over the years and the wear and tear on your tiles, carpet and laminate flooring. But it's not just about upgrading to the best porcelain tile or the most luxurious carpet, think about what goes underneath in regards to underlays, cleaning and what each room is used for.